Welcome to the first, of hopefully many, #GirlBossMonday interviews! The reason for these interviews are to inspire you, my readers, and fellow PR students to be successful in your careers and business leaders of the future. I have asked the important questions to gain an insight of how these #GirlBosses made it to where they are today, and how we can emulate their successes. My first interviewee is the lovely Rosie Davies. A fellow LJMU’er and from the Wirral, Rosie is now bossing it in the great city of London as the Director and Founder of The London Fashion Agency. 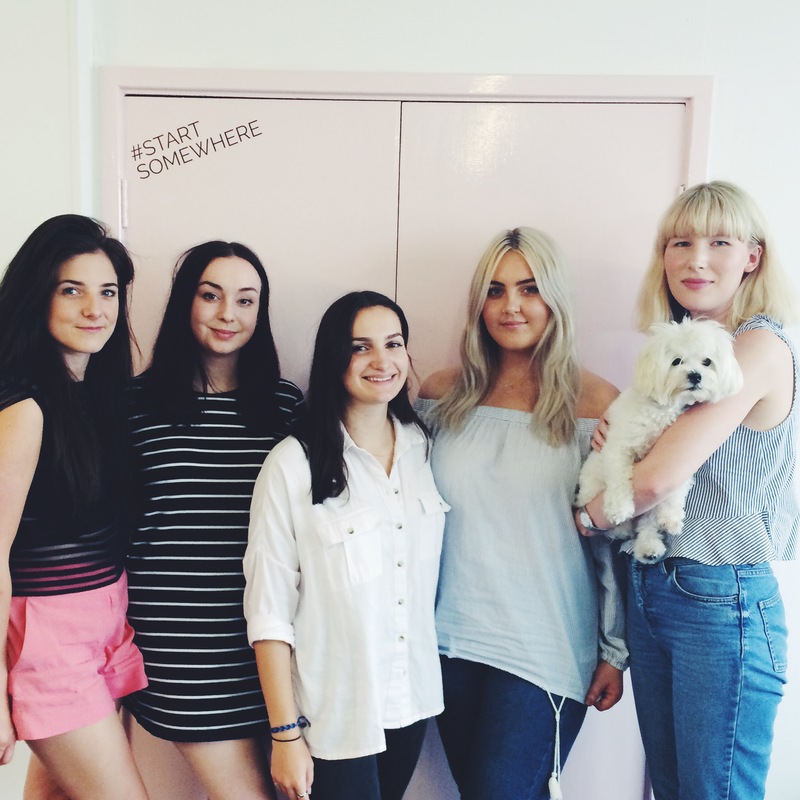 Rosie launched LFA in 2013, as the first and only affordable PR agency dedicated to working with independent brands. Today LFA’s clients include: Miss Pom Pom, Hanky Panky, The Mix and many more independent fashion brands. What are you waiting for? Go forth Girl Boss and find out how Rosie found herself in the PR industry and went from intern to business owner! OC: Hi Rosie! An easy question to start us off (I hope) – What is your full job title? Here goes! I am originally from the Wirral, Merseyside. I started my first business when I was 8 years old – making and selling Brownie teddy bear outfits to my fellow Brownies. I struggled my way through school spending most of my time with the teacher that supported the dyslexic students! I left school at 16 with a few average GCSE’s to work in McDonald’s whilst I did an Art Foundation. Rosie (left) and her LFA team – Milo included! The summer after I finished at LJMU, I moved to London. I was 21 and just had to make the leap. I didn’t know anyone and had no clue what I wanted to do. I did know however, that I didn’t want to be a fashion or textile designer. I interned everywhere to gain a better understanding of the ‘fashion business’. I worked six jobs to fund my interning including cleaning urinals and nannying – it’s expensive to intern. In the summer of 2011, I started an internship with a small knitwear brand in South London, Lowie. I was given a pile of magazines on the first day and was asked to call them and pitch products into their features. I didn’t have a clue if what I was doing was right, but a few weeks later, coverage started to appear. I was hooked. I started to look more into how small brands gained coverage in publications. PR retainers cost thousands and were totally unattainable for small businesses. I realised the frustration that brands faced when trying to do PR and decided to cut all of the costs from traditional PR to offer affordable, honest services that produced results. I built a basic website and requests started to come in for ‘affordable PR‘. I never borrowed a penny to get the agency off the ground. I have never outsourced anything. 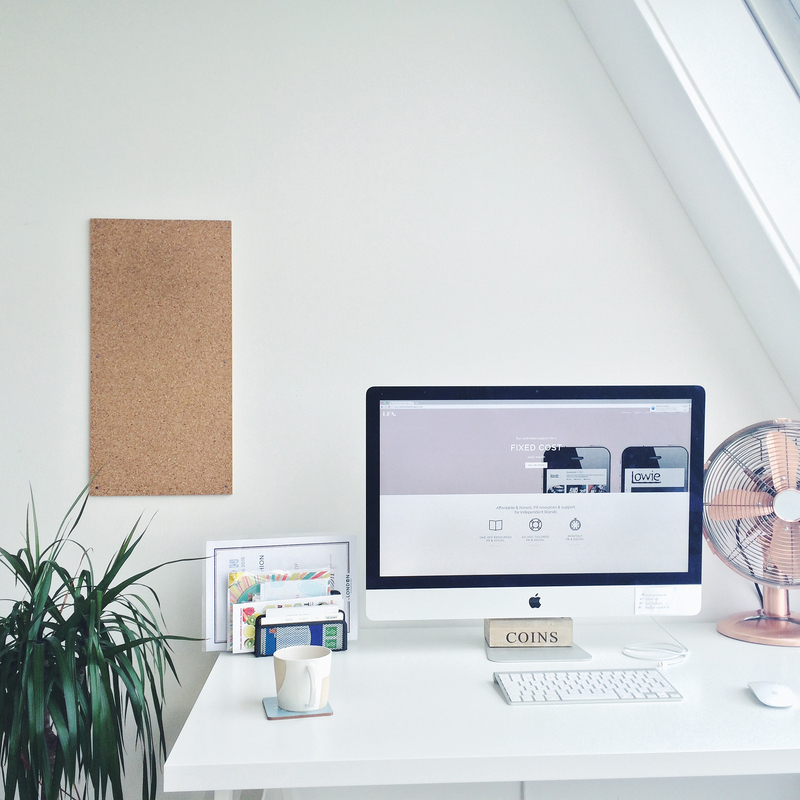 I built the website, the office desks and the agency on my own. If I didn’t know how to do something, I Googled it. We have no investors or loans to pay which means I can keep costs affordable for our brands. We grew organically and went from just me working in my bedroom to the best team possible. We’ve outgrown three office spaces and worked with hundreds of brands. Fast forward to today and we are the go-to agency in the UK for independent product-based brands. We launched the UK’s first affordable PR agency, then we launched the UK’s first PR subscription for brands and our PR approach has been called disruptive and much needed. In 2016, we gained over 300 pieces of coverage for the brands that we work with, were nominated for 5 industry awards and I was awarded Great British Creative Industries Entrepreneur of the Year. Most days I have a minute where I reflect. I am so thankful for LFA, all we have achieved and what our team do. I love it. What do you find most rewarding and most challenging about your role in PR? Most rewarding is seeing our clients grow. We work with small businesses because I love what press placement can do for their brand. I love hearing that they sold products and had a spike in traffic from coverage we worked for. Most challenging is being a sole founder. There are so many ideas I have for growing the business but not enough hours in the day to get them across to the team. Attention to detail, attention to detail, attention to detail. PR is all about attention to detail. Anyone that writes ‘Dear Sirs’ or ‘To whom it may concern’ is not right for our close knit team. 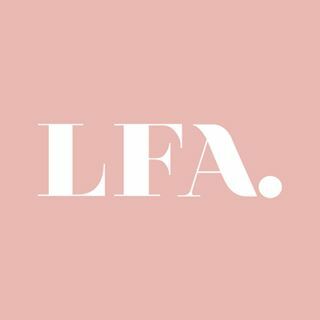 I want people to tell me why they want to work for LFA. What is it that you like about our company culture, or something that you have seen on social media. That makes you good at PR! Write 5 applications to 5 companies you love brilliantly, instead of 10 quick applications. Someone recently asked me ‘how I made it’ – I don’t think you ever make it. I think you work hard for something you believe in, but you stay grounded and always feel like you can improve on something. Attention to detail is key – connecting with people on social, knowing everything you need to know about them to grab their attention is really important in PR. I managed to start LFA and get it off the ground because of hard work and hard work alone. I didn’t know anyone or anything about PR for that matter but I worked 20 times harder to learn quickly when my clients or the press asked for something. I believe to start any business you need three things – an idea, grit and graft. Previous Post I’m Starting My First Blog Series! Next Post Who Can We Trust?